On 9 May, Åland Post highlights a certain type of carpenter’s house that was common in Åland around the turn of the century 1900. 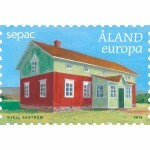 Old residential buildings are in focus on the 2019 Sepac stamp series issued by small European postal administrations. The development of the sawing and timber industry in the 1800s increased the availability of industrially produced planed timber. 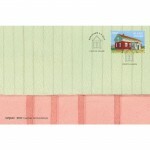 Building houses with a loft of planed panelling, a material that was also used for the porch, became popular. The planed wood panelling was usually painted in light-green or light-grey oil paint while red ochre was used for the carpentered and unplaned house body. Believed to have been introduced in Åland by Ostrobothnian craftsmen around 1900, this style stayed in fashion until World War I. Only some ten houses of this type are preserved in the Åland countryside today. One of them is the manor house of the Jonesas farm in Önningeby, Jomala. The last resident of the house died in 1980 and, today, the house is owned by Önningeby folklore society. 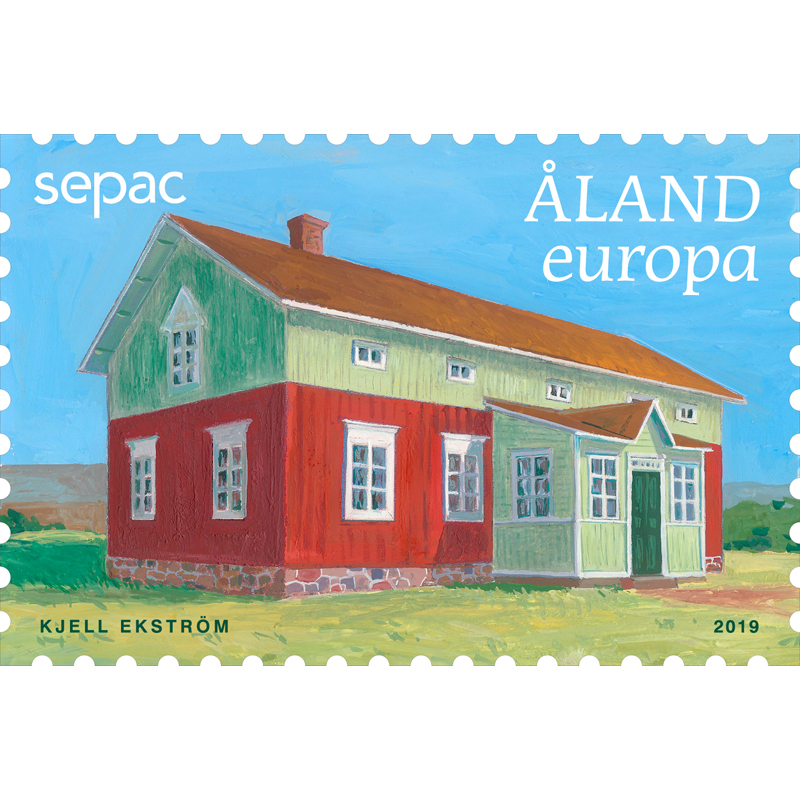 According to stamp artist Kjell Ekström, the body of the manor house probably dates back to the mid-1800s. The loft was added during the first decade of the 1900s. The floor plan suggests a well-situated home; the reception room and an oblong hallway are flanked by two bed chambers on the left and the kitchen on the right. The drawing-room and kitchen were most commonly placed on either side of the hallway. Kjell also reveals plans of the folklore society to open the farmhouse for guided tours in 2019. The drawing-room has recently been renovated, revealing the wooden ceiling and restoring the window frames. 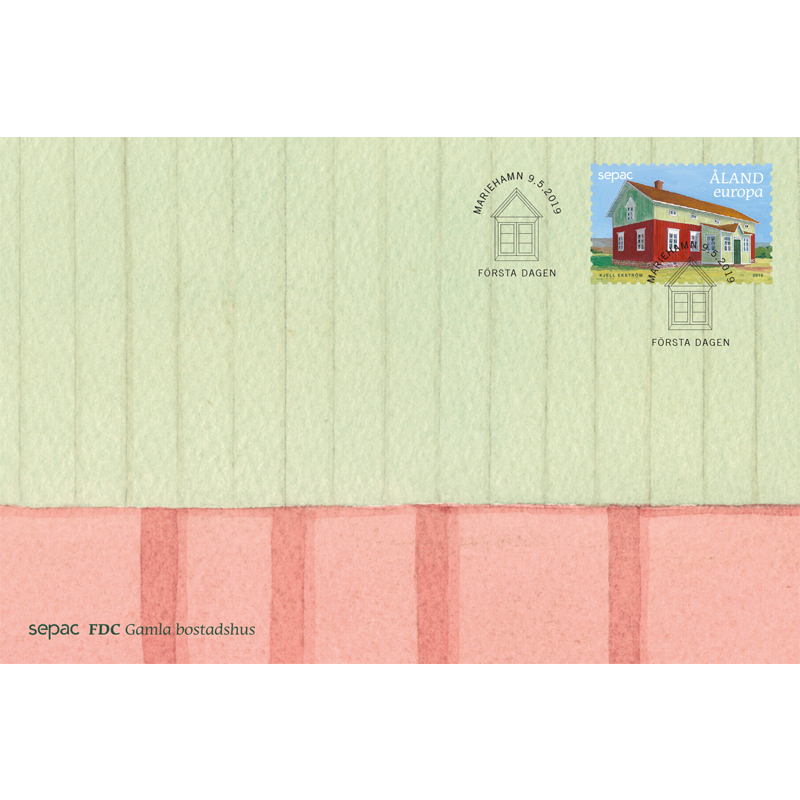 To order stamp and FDC, please visit Åland Post Stamps web shop.